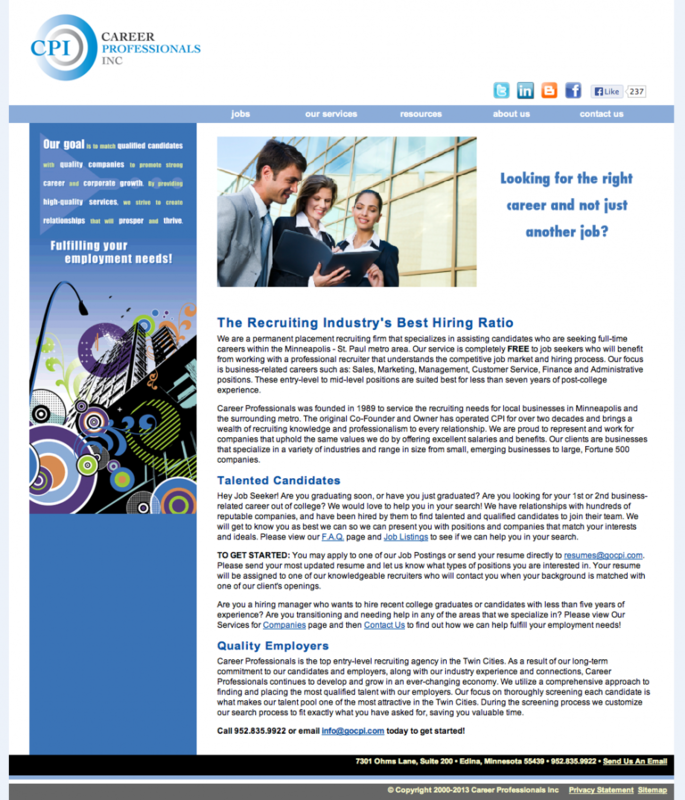 Career Professionals needed a new design and development to help them keep their site up-to-date. 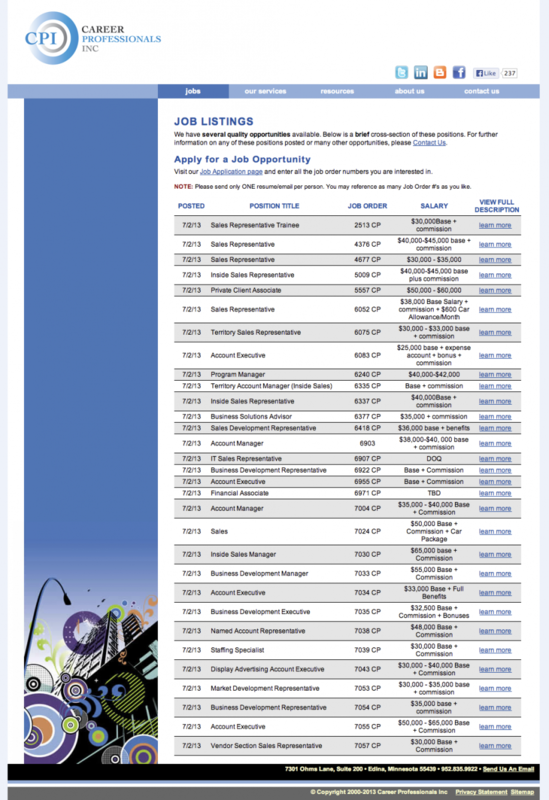 Mipaca Interactive setup their site on our own CMS so that they could post and keep their job postings current. 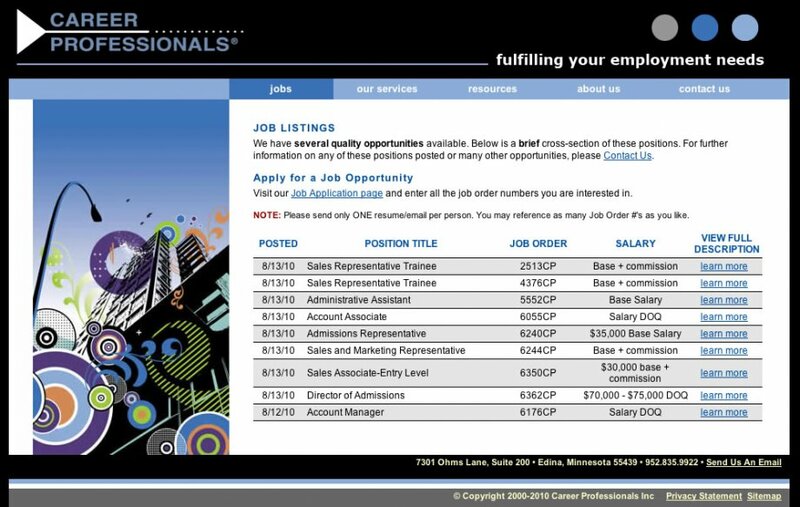 The Career Professionals site had a minor design update with a new logo in January of 2012.